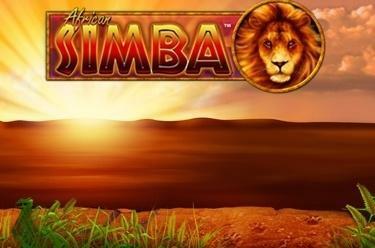 Play African Simba™ online for free now! 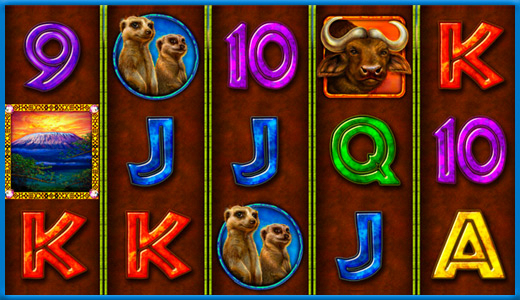 An unforgettable safari awaits you with unbelievable winnings! Experience the adventure 'Africa' first hand and grab loads of Twists! Your exciting Twist-trophy is set against the backdrop of a breathtaking scenery and you will immerse into the animal kingdom. The lion Simba will be your guiding spirit - he helps you to catch the right symbols and makes sure that the spoils of your adventurous hunt will show up in your user account. With African Simba™ there are up to 243 ways to win on 5 reels! Your goal is to land five identical consecutive symbols along a pay line, starting on the left. If all winning paths are activated, then it doesn't matter which reel position the symbols land on. If you reduce the winning opportunities, single reel positions will be deactivated. In this case the symbols have to land on the active reel positions from the left side for you to win. The Lion symbol (Joker) substitues any symbol except for the Scatter. 3 or more Scatter symbols (Kilimanjaro) anywhere trigger 12 Free Games and the bet of your most recent normal game will be carried over. All winnings will be tripled in the Free Games.